MASVINGO - The Christian Voice International – Zimbabwe (CZI), a grouping of various Christian organisations, has written to opposition political parties in an effort to facilitate a grand coalition which will enable them to topple President Robert Mugabe out of power. The organisation confirmed having written to MDC-T, Zimbabwe People First (ZimPF), Zimbabwe African People's Union (ZAPU), People's Democratic Party (PDP), Transform Zimbabwe and MDC-N. In the letter, the organisation argues that only a united opposition can address the nation's plight including human rights abuses and severe poverty. "CVI-Z believes that one of the major roles of the church in society is to mediate, prevent and manage conflict among disputing parties with the prime objective to restore sanity and uphold peace, human dignity, sanctity and human rights for a prosperous and united nation. "We therefore submit to you that our wider representative of the clergy in Zimbabwe felt compelled to take up this initiative to mediate between democratic parties to form a formidable force with the objective to alleviate poverty among masses of Zimbabwean citizens presently subjected to gross sufferings and human rights abuses." "CVI-Z invites your esteemed political party to the noble cause of a grand coalition of which you are an integral part in the Zimbabwean political landscape, taking into cognizance your different political backgrounds and clout yet for the sake of the love for Zimbabweans and the spirit of nationhood we believe a possible compromise is achievable," the letter reads. Speaking to TellZim News, CVI-Z President Tafumanei Zenda said upon receiving the letter, political parties have shown enthusiasm about the idea. He said they are yet to come up with a date on when all political leaders will be brought under one roof. 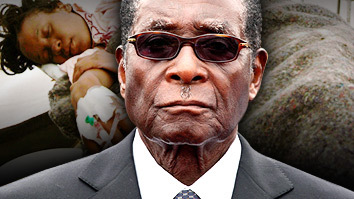 "All opposition parties have shown enthusiasm in joining forces against Mugabe. What is left for us is to bring them under one roof. We have not yet fixed a date for the engagement because we still have to do a one on one follow up to those letters," Zenda said.